Take a journey into the past in this unique film to discover what life was like in Barrow in the old days. Narrated by Eric Wallace. The Second World War was a conflict that shook the world – and changed the Borders forever. Format : PAL DVD. Running time approx 138 mins. 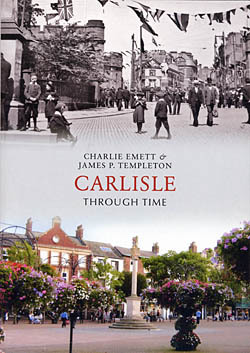 The story of how Carlisle has grown and developed into the Great Border City is fascinating. This film, which includes rarely seen material, tells how Carlisle emerged from war, rebellion and pestilance to become known and respected all over the county. Narrated by local broadcaster Eric Wallace, this film captures the spirit of wartime Cumbria. Using rarely seen material, Cumbria at War takes the armchair historian into another world, with POW camps, devastation caused by the Blitz and much more. Inspired by George MacDonald Frasers book The Steel Bonnets, a journey through the turbulent 16th century borderlands of England and Scotland in search of the Reivers. First broadcast on Border TV. 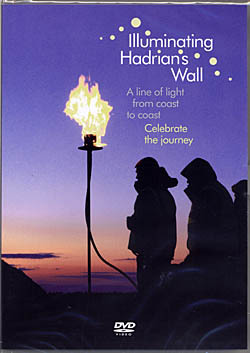 On Saturday 13 March 2010 a line of light blazed its way across the country, focussing international media attention on the amazing World Heritage Site of Hadrian's Wall and the surrounding landscape. Format : PAL DVD 40mins. approx. 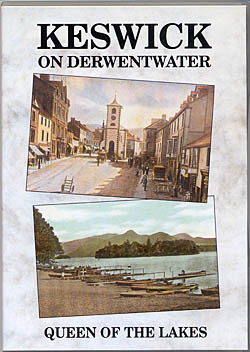 A unique trip down memory lane and a journey of discovery about what life was like in Kendal decades ago. Narrated by Eric Wallace. Running time approx. 1 hour. A rare look at this wonderful area through colour film from the 1940s and 50s, plus some early 1930s footage of village life. 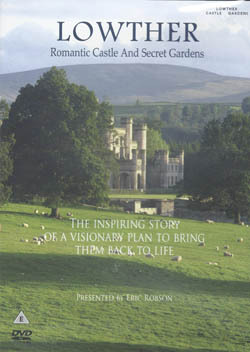 The Lowther family have had estates in Cumberland and Westmorland for almost 1000 years. In 1805 they commissioned the architect Robert Smirke to build them a castellated palace in Lowther Park near Penrith. It was home in the early part of the twentieth century to the flamboyant and profligate Fifth Earl of Lonsdale, the man known as the Yellow Earl. It was in the dense forests of free Germany when Augustus lost three legions, 18,000 men, due to an attack by the local tribes. 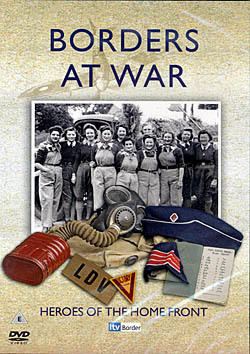 This superb DVD accompanies the book, and has been shown on television. Alistair Moffat takes us on a visual journey through 8,000 turbulent years into the crucible where the United Kingdom was forged. 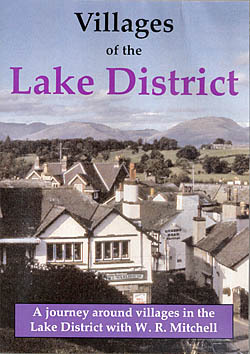 The fascinating story of Lakeland in the old days, capturing the atmosphere of what life was like: the poverty, the packhorses and stagecoach and the coming of the railway. 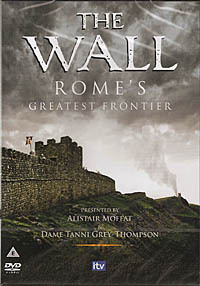 From the early fourteenth century to the end of the sixteenth, the Anglo-Scottish borderlands witnessed one of the most intense periods of warfare and disorder ever seen in modern Europe. 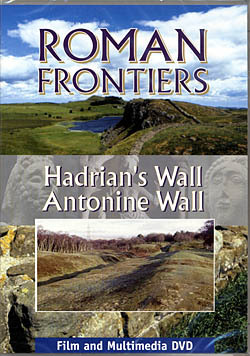 Hadrian's Wall is the largest single Roman monument in the world and the most impressive Roman legacy north of the Alps. Format : PAL DVD. Running time approx 55 minutes. This film tells the story of West Cumbria in the old days. Here is a journey into the past where you will discover what life was like two centuries ago right up to the present day. 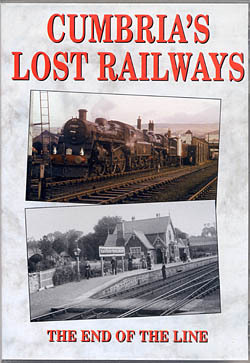 It includes rarely seen material and looks at the main influences which shaped towns like Whitehaven, Maryport, Cockermouth and Workington into what they are today. A nostalgic look back that you are unlikely to forget. In 1974 Westmorland was wiped from the map and swallowed up by the newly formed county of Cumbria.